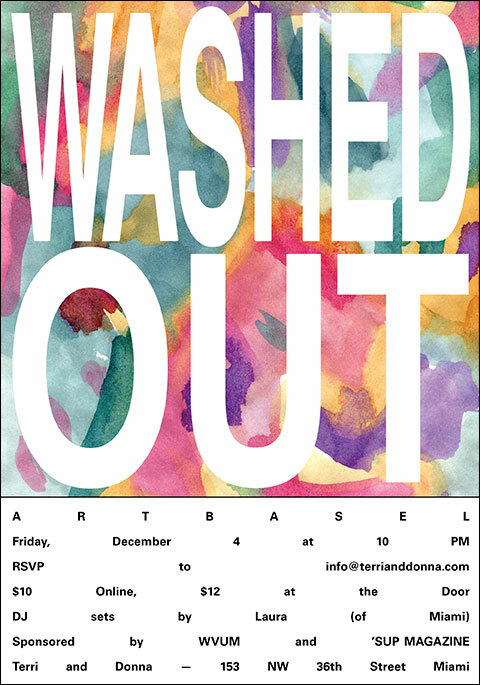 WASHED OUT live at the Terri and Donna Gallery on December 4th at 8pm during Art Basel. DJ set by Laura (of Miami) from WVUM 90.5 FM (Vamos a La Playa). 153 NW 36th Street, Miami FL. Tix $10 online or $12 at the door. First 50 people at the event will receive a free Boxfresh Tshirt. EARLY SHOW! once bitten | Sneak Thief feat. Lindsey J.